The important thing is that these parameters only apply to a single feature type, whereas a Reader parameter would apply to all feature types. This is a Feature Type parameter because each table might have a different geometry column name, therefore each feature type needs a way to define it. 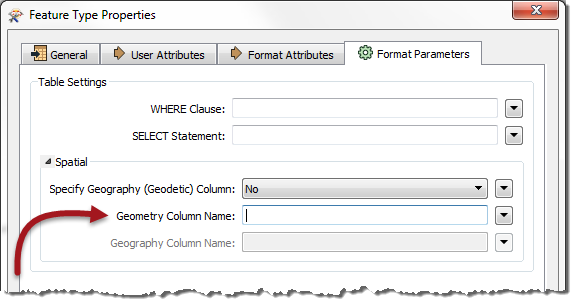 If, for example, four tables were being read, the user could set a different geometry column name for each.